Check out the Matrix Armory System with Ian McCollum on his Youtube Channel Forgotten Weapons. The transformation from armament to artwork is hard to describe. 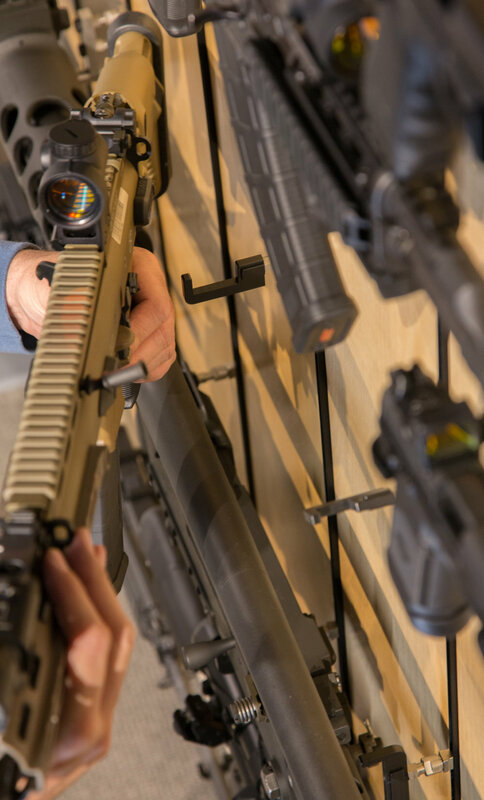 From everyday shooters to the rarest handcrafted firearms, Matrix Armory makes an impression that you must experience for yourself. 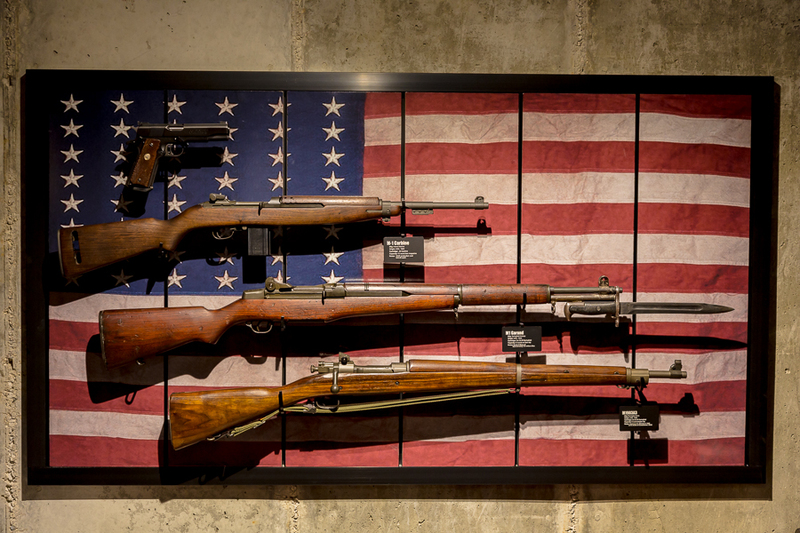 Firearms can be oriented at any angle. A rendered image of Brazilian Cherry finished panels. Consisting of track, trim, and hanger, we make it easy to create the size and configuration you need. The anodized aluminum track and trim provide a sleek minimal appearance. The heavy gauge stainless steel mounting rail attaches to a wall and holds the frame securely at the top and bottom. 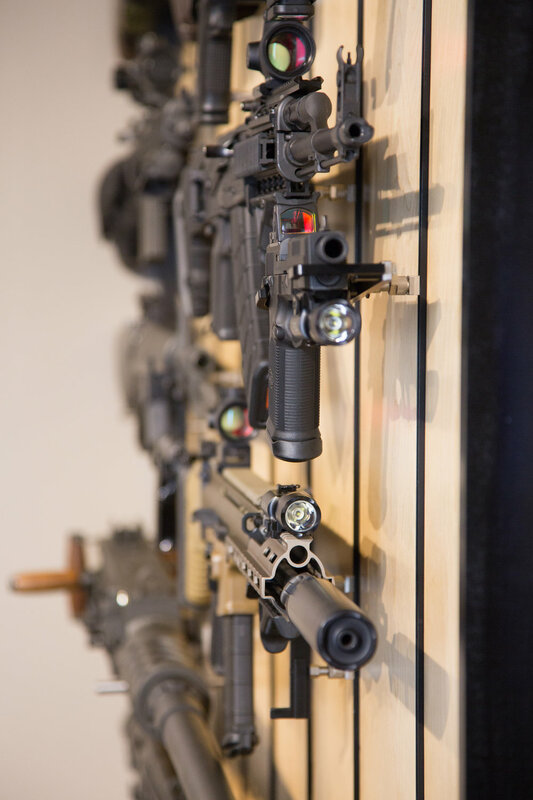 Unlike other systems, such as peg board or slat wall, the Matrix Armory panel system shows only minimal visual interruption creating a cohesive background for your collection, drawing your eye to the firearm instead of the mounting system. A wide variety of panel colors and types are available including exotic woods and unique finishes. 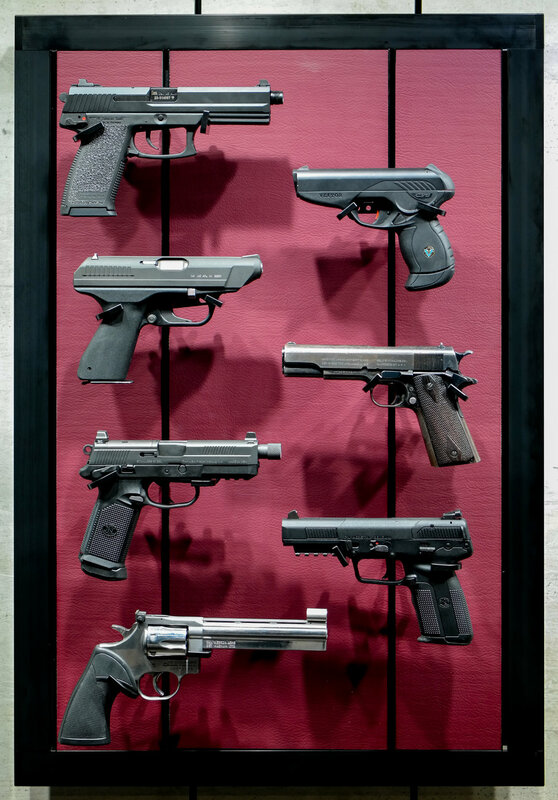 Built from the ground up, our custom fixtures are the key component to the Matrix Armory system and have been in development for years. 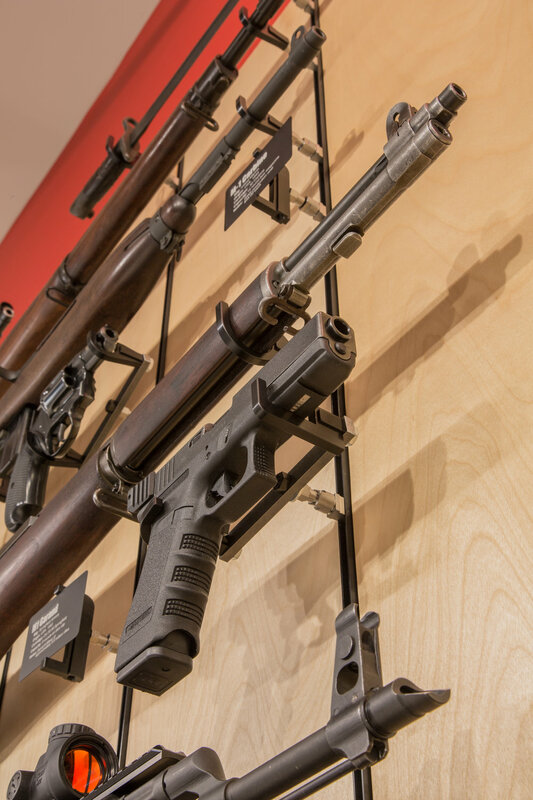 Comprised of a stud that attaches to the frame and a hook that holds the firearm, the fixtures provide an unprecedented amount of adjustability. 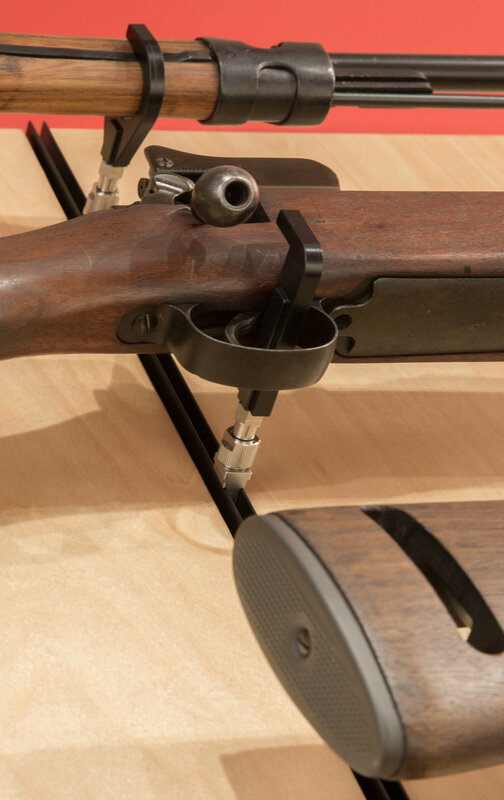 Despite its minimal appearance, it can securely mount virtually any firearm. Matrix Armory uses a variety of shapes to accommodate the profile of the firearm, but the real magic comes from the freedom of motion and locking offered by the hardware and interchangeable hooks. Ian McCollum from Forgotten Weapons.com test fits an FN2000 on Matrix Armory wall.